Firstly, it is bursting with character and provides a fantastically quirky and 'wow factor' ambiance in a room. Secondly, it is incredibly easy to achieve and lends itself to even the smallest of budgets. Lastly, and very importantly, it is a trend which never seems to date. Now that I've convinced you of all the reasons to go for an industrial style in your abode, here's how to create the look in 5 simple steps. 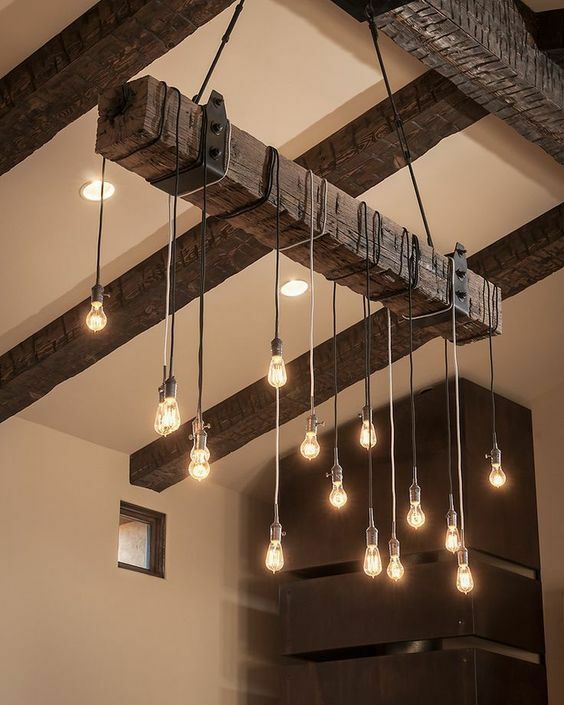 Vast amounts of exposed brick and wood are key in creating an industrial style. The more exposed materials the better. So strip back that plaster and rip up those carpets and leave the place looking 'un-finished'. Throw in a bit of concrete and exposed piping for good measure as well if possible, and Bob's your uncle. Next on the list highlights the importance of selecting the right dining table. The 'it' industrial dining table is made up of a reclaimed wood table top which is then combined with a metal framework. Pair this with a mismatch of reclaimed wooden and metal chairs or stools and voila... industrial dining area done! Moving swiftly on to lighting. This is a biggy as it has the ability to make such a big impact in creating an industrial space. 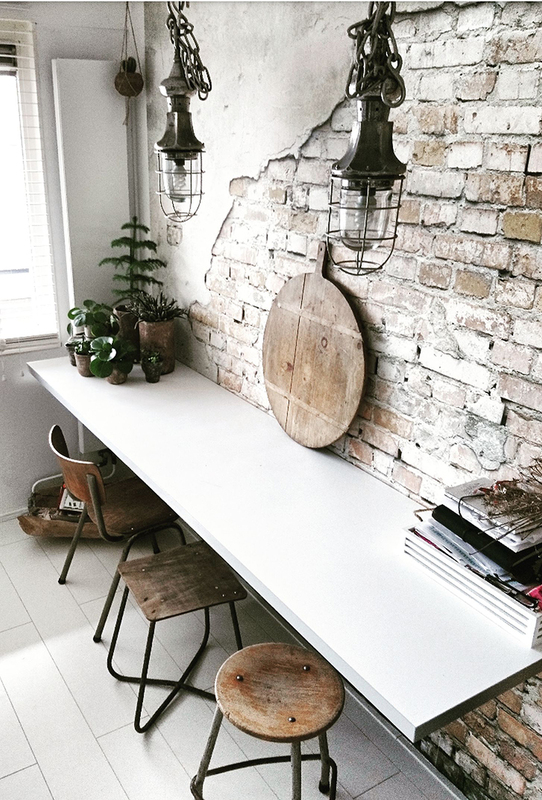 The key is to be particularly daring with lighting choices whether its a salvaged stage light as shown below, or a DIY creation using filament lightbulbs. Whatever you choose to go for, the quirkier the better. 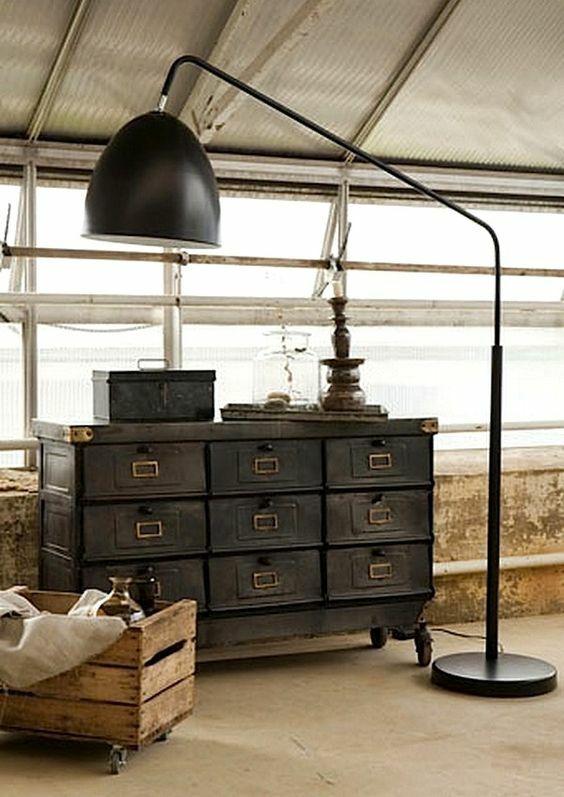 This is a 'must have' in the industrial interiors world and can come in any shape or form whether it be lighting, shelving or a table for instance - the world is your (galvanised) oyster. Let the imagination run wild. 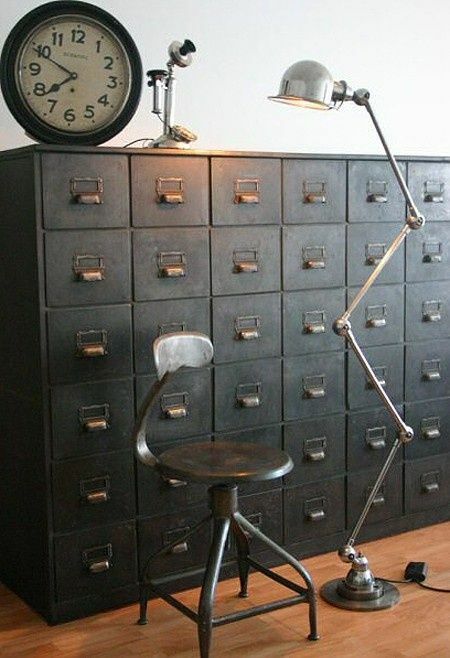 The final item on your industrial home checklist is a metal filing cabinet. Preferably slightly worn, this can be used in any room in your house.